Bring your steam operation into the 21st century. You will see savings of 30% or more in fuel usage and a corresponding increase in available power. Scale, wet steam, foaming, and carryover will disappear. 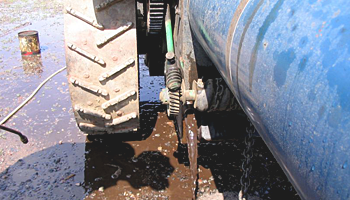 Pitting, rusting, and corrosion of boiler parts will stop or slow down dramatically. In use by over 10,000 happy engineers all over the world. 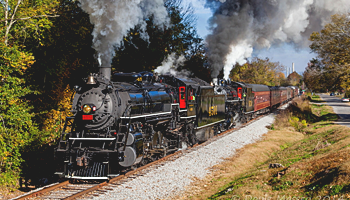 The same products used in large industry, power generation, and the most demanding applications are now available for steam railroads, farm engines, automobiles, steamboats, scale live steam locomotives, and models. Clean and maintain your boilers with modern technology. Use modern technology and solutions to help your antique steam equipment reach its peak performance. 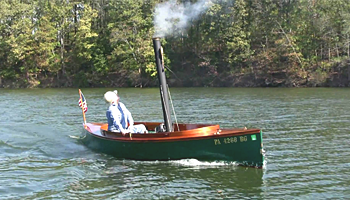 BoilerSaver™ offers boiler cleaning solution and maintenance kits for your recreational and hobby steam-powered machines. Our founder, Jim Conte, has a background in nuclear power as part of his service in the Navy. After that, he worked in power generation and used all the knowledge and training he acquired to supplement his hobby of historical steam preservation, locomotives, marine shipboards, installations and stationary installations, steam automobiles, and live steam locomotives. We at BoilerSaver™ want to bring the same joy of machine maintenance our founder has experienced to hobbyists and fans of steam technology.